Kentucky coach John Calipari said he took a few moments following Saturday's game to praise his team for winning its 10th straight game thanks to some gritty plays in a difficult road environment. Then the compliments ended. It was time for the truth. "If you want me to tell you everything's all good, it isn't," Calipari said. "I went right down to each guy. Not mean, screaming or cussing. I wasn't. "But you're here because you want me to keep it real. Well, this is real." And the truth is that No. 5 Kentucky was fortunate to escape Humphrey Coliseum with a 71-67 victory over Mississippi State. The Wildcats let an 18-point lead early in the second half dwindle to just one possession with 1:18 remaining before a defensive stop in the final seconds sealed the win. PJ Washington scored 23 points, Keldon Johnson added 13 and Tyler Herro had 12, including a crucial 3-pointer with three minutes left. Kentucky (20-3, 9-1 Southeastern Conference) hasn't lost since its conference opener against Alabama on Jan. 5. Washington and Ashton Hagans hit back-to-back layups to squash the Bulldogs' momentum, but Mississippi State kept fighting and Weatherspoon made a free throw to cut Kentucky's advantage to 70-67 with 1:18 left. "Once we turned the defense up, I feel like that's when we're better offensively," Mississippi State guard Nick Weatherspoon said. "We got going, started getting points in transition and felt like we got them on their heels." But Mississippi State came up empty on its final possession when Quinndary Weatherspoon lost possession and Kentucky's Johnson came up with the loose ball. "Once they made that run, we just had to come together even more, stay focused and stay together," Johnson said. Lamar Peters led the Bulldogs with 16 points while Quinndary Weatherspoon added 14, all in the second half. The Bulldogs have lost four of their last six. Kentucky's Washington scored at least 20 points for the fifth time in six games. The 6-foot-8 sophomore shot 9 of 13 from the field, but Calipari wasn't particularly impressed. The veteran coach made it clear he has high standards. "I think he's the best player in the country, but not like he played today," Calipari said. "He doesn't go get rebounds, doesn't get loose balls, missed one-footers, missed free throws. What? If you're the best, play that way. Come out with great energy. A motor." "It's not about making shots. It's the way you play." Mississippi State (16-7, 4-6) led 17-15 midway through the first half, but Herro nailed a contested 3-pointer to give Kentucky the lead. The Wildcats never trailed again, outscoring the Bulldogs 25-8 over the rest of the first half for a 40-25 halftime advantage. Calipari wasn't happy with the way his team had played during games with early tipoffs this season, so at 7:30 a.m. on Saturday, barely four hours before the noon tipoff, he brought his team to Humphrey Coliseum for a shootaround. He said that might have been part of the reason for the rocky second half. "I never do that, but I knew how hard this game was going to be," Calipari said. "We may have run out of gas because I did that." Kentucky: The Wildcats' defense has been phenomenal over the past few weeks, but they gave up 42 points in the second half. They'll have some things to get fixed on that end as they prepare to host LSU and Tennessee over the next week. Mississippi State: The Bulldogs have now lost 13 straight games to Kentucky dating to 2009. Mississippi State still has a legitimate path to the NCAA Tournament thanks to good wins during nonconference play, but the Bulldogs need some conference wins in a hurry. Tuesday's home game against Alabama is a big one. Kentucky returns home to face LSU on Tuesday. 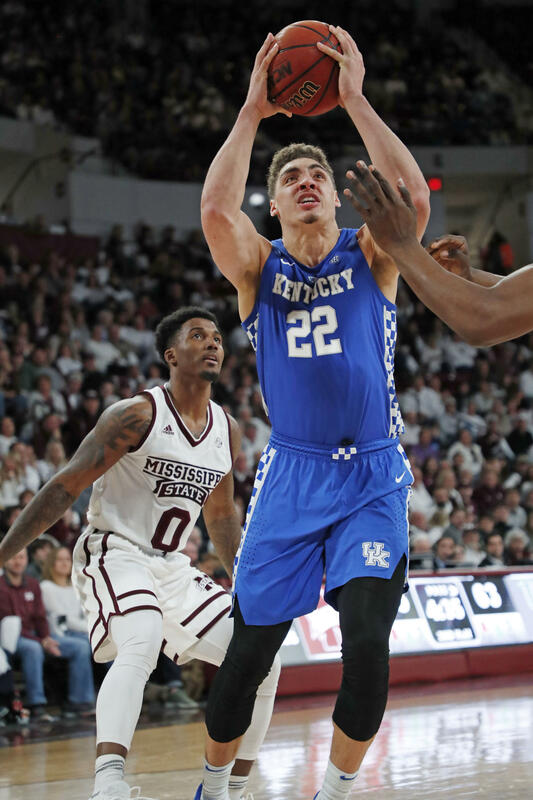 The Kentucky Wildcats are on the road tomorrow taking on Mississippi State, a team they handled fairly easily last month in Rupp Arena. But this rematch could be a different story. The Cats are coming off that 28 point home thrashing of South Carolina while the Bulldogs lost to LSU in overtime. We get our weekly scouting report from Lex 18 sports anchor Keith Farmer. Kentucky used a stellar defense to maintain its roll and throw South Carolina off kilter. PJ Washington scored 20 points, and routed South Carolina 76-48 Tuesday night for its ninth consecutive victory. Tyler Herro scored 19 points, including a dagger 3-pointer with about 3 minutes to play, and No. 7 Kentucky rallied from an 11-point deficit to beat Florida 65-54 on Saturday. 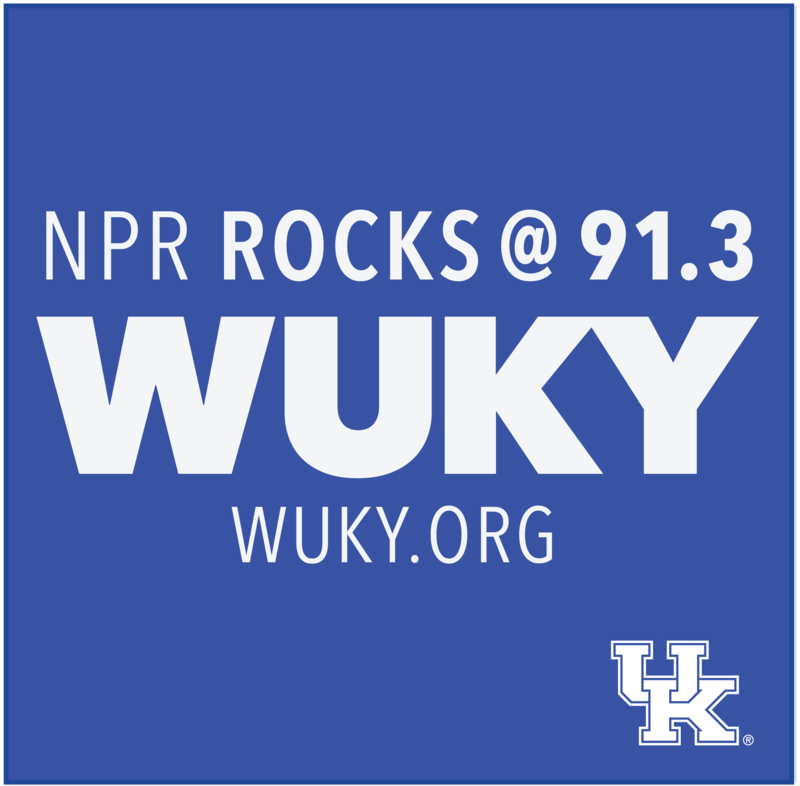 The Kentucky Wildcats roll into to Gainesville Saturday with a whole lot of momentum after Tuesday night’s beat-down of an overmatched Vanderbilt squad. They’re 6 and 1 in the SEC and chasing Tennessee and LSU for first place in the SEC. What will it take to come out of the "O" Dome with a win? LEX 18 sports anchor Keith Farmer delivers the Scouting Report to WUKY's Alan Lytle. Kentucky coach John Calipari insisted he worked harder in the second half, even though his Wildcats led by 30 at halftime and P.J. Washington already had a double-double. As good as Washington and the Wildcats look now, Calipari believes much more is possible this season if they keep improving.